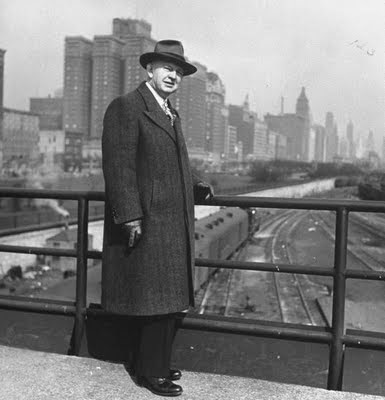 September 10, 1948 – Mayor Martin H. Kennelly gives approval to a proposal submitted to the city council, requiring that city officials and employees be required to sign non-Communist affidavits or face dismissal should they refuse to sign. The proposal, sponsored by Forty-Fourth Ward alderman John C. Burmeister, also mandates a “loyalty committee” of three to five aldermen appointed by the mayor. The mayor says, “I think it’s all right. We don’t know who we have working for us.” The mayor is pictured in the above photo. 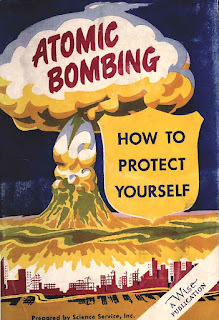 September 10, 1954 – The state civil defense director, Robert M. Woodward, graces Chicago with some upbeat news when he announces that a hydrogen bomb dropped at Madison Street and Kedzie Avenues between 10 a.m. and 2 p.m. would cause 3,030,096 deaths and 1,382,421 injuries. With an evacuation window of 15 minutes there would still be 1,876,227 deaths and 844,013 injuries. For those wondering why we folks in our sixties and seventies sometimes act so strangely, it might be good to remember that we grew up with regular updates like this instead of the latest updates on Pokémon Go.